I’ll admit it: I’m a skincare snob. But not the evangelical kind. 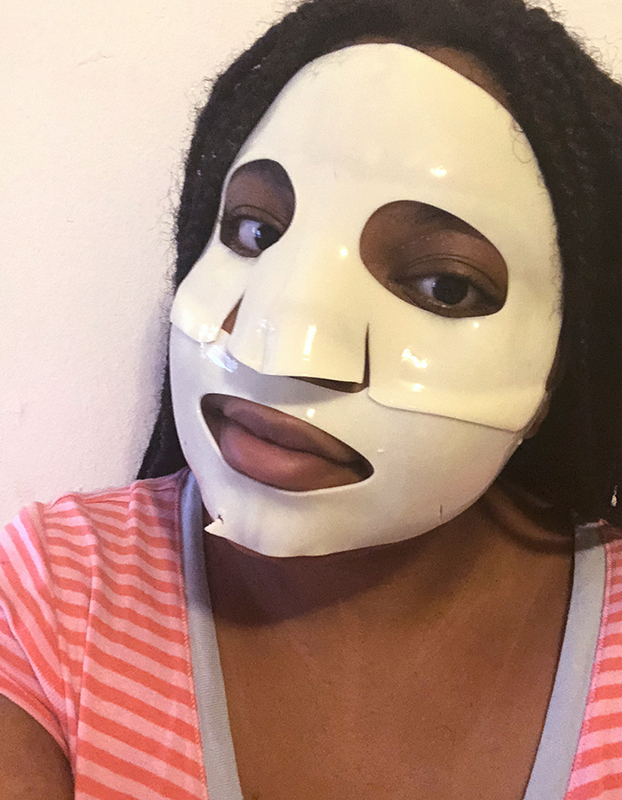 You’ll never catch me going around telling people what they should or shouldn’t be putting on their faces (wearing SPF daily is a non-negotiable, though, if you want to prevent skin cancer), but I am known to wax poetic about my favorite skincare items — one of which is, of course, sheet masks. They are easy to use, super convenient for travel, and chock full of skin-nurturing ingredients, and you can always find one for whatever skin concern you have. Skin looking a bit dull? There’s a sheet mask for that. Have excessive redness? Yep, you guessed it — there’s a mask for that, too. 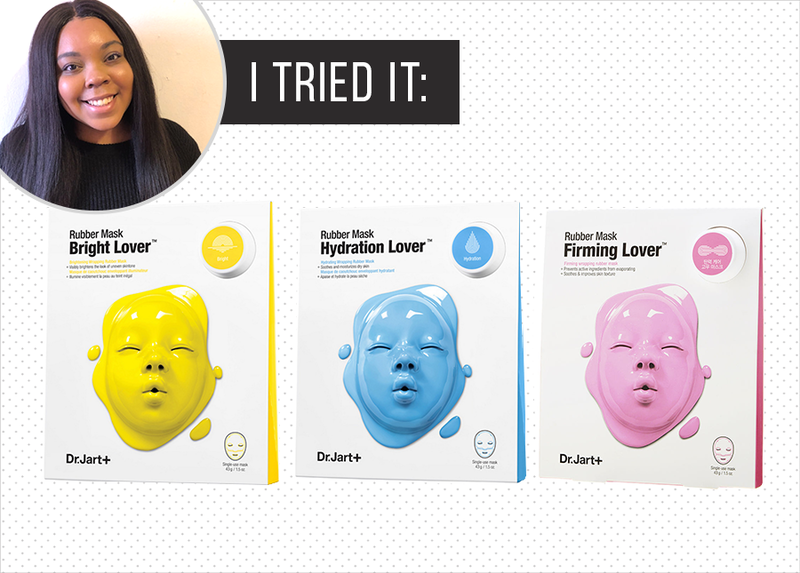 These genius Korean inventions are face-shaped masks pre-soaked with serum (nutrient-rich solution) that targets specific issues while infusing your skin with well-needed moisture — and they typically take less than 20 minutes to work. Despite the slight creepiness factor, I really wanted to try at least one of them out, especially considering my skin has lost its luster lately. There are four different masks in the entire collection: Clear Skin Lover, a gray one that soothes and calms irritation with a complex blend of green-tea and grape-seed extract; the blue Hydration Lover, which plumps and moisturizes the skin with hyaluronic acid; Firming Lover, a pink option infused with salicylic acid, a powerful acne-fighting ingredient; and the yellow Bright Lover that’s infused with Vitamin C to brighten and correct post-acne pigmentation and dull complexions. Each treatment costs $12 and involves two important steps. There’s a pre-packaged ampoule (where each serum lives) that you massage into your skin before applying the two-piece rubber mask (there’s a top and bottom one). 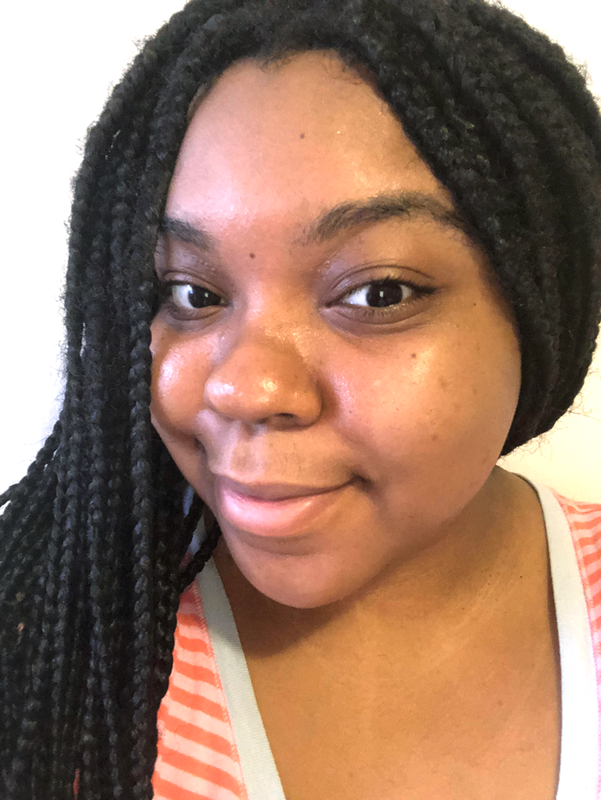 I opted to try the Bright Lover, which I got from Sephora, in hopes it would leave me looking glowy and refreshed. I also chose that one since I’m a big fan of anything with Vitamin C. It’s incredibly effective for correcting dark patches and uneven skin tone, an issue I’m constantly dealing with. When my Sephora order arrived, I immediately went to work, first slathering the ampoule all over my face. It has a weird jelly-like consistency that emulsified a bit the more I rubbed it in. Then, I proceed to put the mask on delicately, though I still managed to slightly rip the top and bottom right corner (oops). The instructions say you should leave it on for at least 15 to 20 minutes, but you can extend it to 40 for “maximum hydration.” For the sake of my experiment, I left it on for the complete 40 minutes and made myself a late breakfast and iced coffee. Once the time was up, I peeled it off and was met with instantly brighter skin underneath. I couldn’t believe it. In less than an hour, this weird-looking product left me beaming, as if I had gotten a professional facial done. You know that gorgeous cheekbone highlight people love to do these days? Well, I achieved the same effect without a hint of makeup. While these masks seem are a bit tacky and borderline weird — they work. That said, they are pretty pricey considering you can only use them once. I recommend using them before an important occasion when you want a lit-from-within glow, or whenever you’re pampering yourself. Personally, I’ll be restocking my vanity with Bright Lover to use at least two or three times a month. In my opinion, they are worth the money. Now, don’t mind me while I go around preaching the gospel of the Dr. Jart+ Lover Rubber Masks.